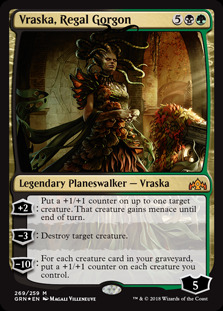 Vraska, Regal Gorgon ($0.00) Price History from major stores - Guilds of Ravnica - MTGPrice.com Values for Ebay, Amazon and hobby stores! Card Text: +2: Put a +1/+1 counter on up to one target creature. That creature gains menace until end of turn. −3: Destroy target creature. 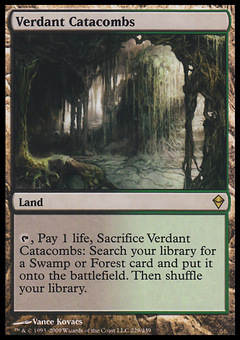 −10: For each creature card in your graveyard, put a +1/+1 counter on each creature you control.